You should read carefully the following terms and conditions before using this software. Unless you have a different license agreement signed by the Authors, your use, distribution, or installation of this copy of Deeds (Digital Electronics Education and Design Suite) indicates your acceptance of this License. If you do not agree to any of the terms of this License, then do not install, distribute or use this copy of the software. This software, and all accompanying files, data and materials, is given "AS IS" and with no warranties of any kind, whether express or implied. In particular, there is no warranty for user-defined data integrity: the user must assume the entire risk of using the program. This disclaimer of warranty constitutes an essential part of the agreement. This is a freeware version of Deeds. You can distribute copies of this freeware version, but the sale of this software is forbidden. 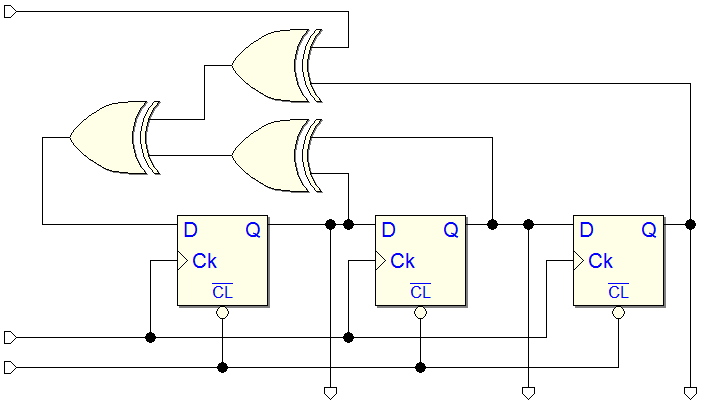 Digital Electronics Deeds: Simulator Web Pages (by Giuliano Donzellini). All rights reserved.